6. Te earthquake intensity does not exceed 7 degrees. 3. More than ten years production experience -- You can trust our quality. 4. More than ten years export experience --- You can order easier. 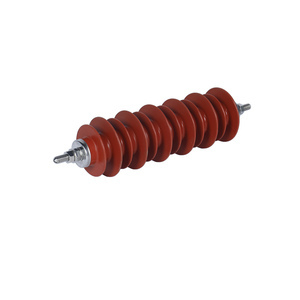 Zinc oxide compound sheath non-clearance surge arrester (short for arrestor) is used to protect the corresponding voltage-grade alternating current (AC) electric apparatus from the excess voltage. 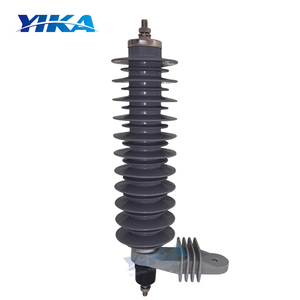 33kV Lightning Surge Arrester It is a kind of protecting equipment preventing electric equipments in AC power system from high voltage and over-voltage operation. Advantage - Low residual voltage - Long protection distance - High energy input capacity - Stable U-I characteristics even after multiple strokes - Proof against ageing - Explosion and shatter-resistant design - Pollution resistant and UV-stable - Housing resistant to rough handling - Maintenance free - Stable against shock and vibration - High mechanical resistance Service Conditions: 1) Ambient temperature: -40&deg;c &tilde; +40&deg;c 2) Height about sea level: &le;1000m 3) Power Supply frequency: 48-62 Hz 4) Earthquake intensity: Not exceed Richter 7.0 grade 5) Maximum wind veiocity: &le;35m/s 6) The long-term power running voltage should not over the continus operating voltage. Hebei Mingyao Electric Power Equipment Co., Ltd.
Surge arresters are the primary protection against atmospheric and switching over voltages. We offers a complete range of surge arresters for high and medium voltage applications. 2 How about inspection9 A: We have the whole inspection system from raw material to end products include temperature test,strength test and so on. Zhejiang Liaoyuan Electric Apparatus Co., Ltd.
We shall let you know about the shipping cost after receipt of your order. 3. The above product photos are coming from main production. 4. Thanks and the first cooperation to be expected. Hebei Yongguang Line Equipment Co., Ltd.
Cuircuit Breaker ,Capacitor, fuse , load switch, lightning arrester and eletric equipments. Please contact us on line or send an Email to sending the catalogue. "Whether can produce as my require9" "Yes,we can make the products as different&rsquo;s special require. 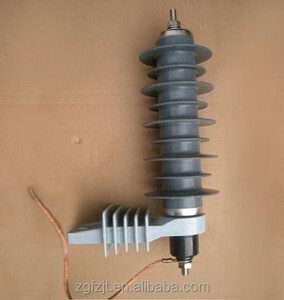 Due to make the resistor disc of core component mainly adopt zinc oxide arrester. The zinc oxide surge arrester is the most advanced over-voltage protector in the world. 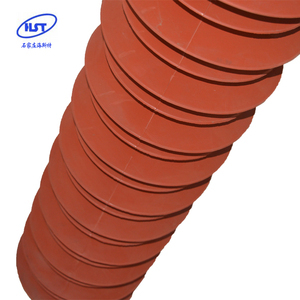 Due to make the resistor disc of core component mainly adopt zinc oxide arrester. 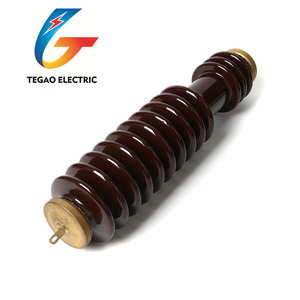 Fujian Minqing Hengxin Electrical Co., Ltd.
Torch Electrical Group Co., Ltd.
Alibaba.com offers 660 33kv surge arrestor products. About 51% of these are power distribution equipment, 26% are other electrical equipment. A wide variety of 33kv surge arrestor options are available to you, such as male, female. You can also choose from free samples. 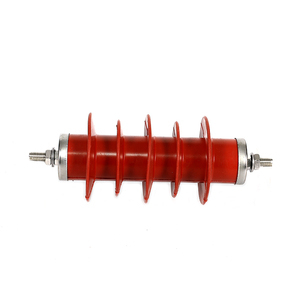 There are 580 33kv surge arrestor suppliers, mainly located in Asia. 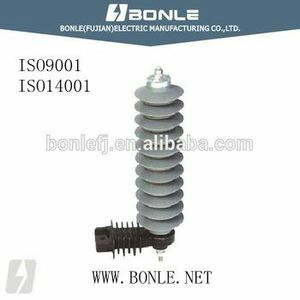 The top supplying countries are China (Mainland), India, and South Africa, which supply 98%, 1%, and 1% of 33kv surge arrestor respectively. 3kv surge arrestor products are most popular in Domestic Market, Africa, and South America. You can ensure product safety by selecting from certified suppliers, including 415 with ISO9001, 156 with ISO14001, and 151 with OHSAS18001 certification.